1_72_aircraft_news 1/72 1/72 kits Gloster incoming Meteor Special Hobby . :Special Hobby:. 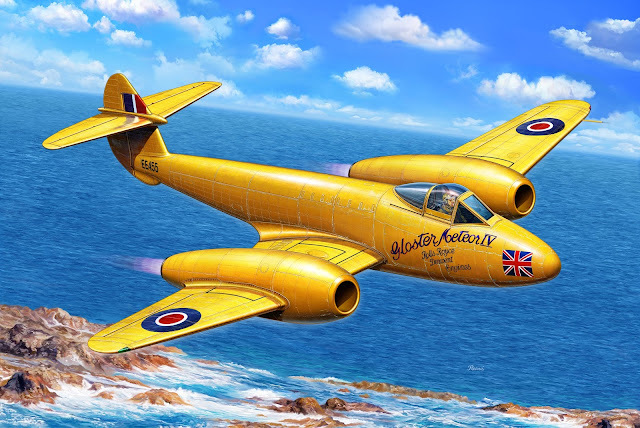 Gloster Meteor Mk.4 "World Speed Record"
. :Special Hobby:. Gloster Meteor Mk.4 "World Speed Record"
. The kit is due to be released during Spring 2017 and will offer the modeller a choice of three machines, the record-holding Yellow Peril and two other speed machines.